Today( Sunday) I am off to pastures new to see my daughter, son in law and grandchildren in Auckland, and I must admit, although not looking forward to the flight I am now given our weather of late. The flight is a long one, 13 hours to Los Angeles, 2 hour turn around and then 11 hours to Auckland. I don’t mind flying, but for that period of time I will be climbing the walls, inactivity I am not good at unfortunately even at my age. So I will not be blogging for 3 weeks but will hopefully have some good photos when I return, in the meantime below are a couple of photos from the past week and last year. As they say, spring has sprung, the first birds for me that give you an inkling that it is coming are returning Oystercatchers, they are back to breed and for the first time I noticed that Teal numbers seem to be a little lower. The Oyc’s rarely succeed in breeding unfortunately due to the presence of Crows and the larger Gull species. Being very close to probably the largest breeding colony of Lesser Black Back’s and Herring Gulls in London is not a recipe for success. However as mentioned in past post’s both the jetty, breeding oyc’s and roosting Redshank are under threat from the proposed Ferry to be sited on Galleon’s Reach. 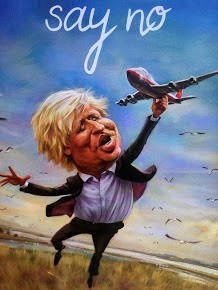 I am no lover of Boris, the bloke is a serious threat to nature and the environment along with his advisors all along the Thames corridor, if the ferry goes ahead it will mean another 2 Brownfield sites gone. I can understand the need for progress with a growing population and more cars on the road, but why not modernise the Woolwich Ferry, this way there would be less environmental impact. This is a bit of a late post, of late Peregrines are taking up a lot of my time, recently whilst in London I found a pair of hybrids that appear to be holding to territory – see www.parliamentperegrinediary.blogspot.com for photos and the story. It is an unusual situation and the worry will always be that they will get into the peregrine gene pool if breeding occurs, hopefully they can be caught by Falconers although one has been around for a few years. Getting back to the Outfall, it has and always will be a Chiffchaff wintering magnet, seeing a mixed winter flock containing 5 wintering Chiffchaffs is not unusual, Beckton Sewage Farm is a massive source of food. As you can see there is also a lot of variation in them, sometimes down to light, still waiting for a Sibe…..
An excellent survey that could not have started any better at 7.40am as we headed down the track, in the distance we could see a number of swans as we approached and these materialised into 16 Bewick’s as we got closer, it looked like 5 immatures and 11 adults. They were feeding on the flooded fields and our only worry was that they would flush when we started our transects, in particular mine as I had to pass within 40 metres of them, this I did and flush they did. To my relief they had a brief fly round and then dropped down about 200 metres east on another flooded section, they were still present when we left at 1.15pm. Raptors were again prominent on the inland section with a pair of Peregrines hunting the Teal flock and a single female Merlin perched up, 2 Common Buzzards and 2 female Marsh Harriers made for a good selection, a Kestrel on the track rounded it off. Despite the bad light and murky conditions a good survey made all the better by the presence of the swans and the first real signs of spring, lambs were on show, hopefully they will be ok as snow is on its way. No early Wheatears or White Wagtails despite scanning every blade of grass and fence post. Out around 7.30am to start our survey out on the Peninsula, slightly warmer of late, looking at the forecasts it looks as if we are at last in for some good weather next week, not before time either. The transect walk on my section revealed very little passerine activity other than Skylark, Meadow Pipit and Reed Bunting were not heard or seen unusually but Wigeon were again present all over in good numbers. Raptors seen were female Merlin, male and female Peregrine, 2 Marsh Harriers seen looking towards Cliffe and 2 perhaps 3 Common Buzzards. A Tiercel Peregrine trying to take a Starling from the flock, I saw this about 3 times, failed on all. The Greylag Goose flock seemed to have thinned out with many now paired, of the Barnacles there was no sign. Reaching the river for my section count showed massive numbers of Dunlin as far as the eye could see looking east, well over 5000, this week there were no Black Tailed Godwit present but a good count was taken of 163 Bar Tailed Godwit, Paul had even more on his section. As far as the eye could see there were wall to wall waders and wildfowl on the mudflats, I find it incomprehensible that they could even entertain the idea of building a Thames Estuary Airport and put passengers at risk from Bird Strike. Dunlin and Wigeon numbers alone are quite staggering. I was also directly opposite Coryton where the giant cranes came in from Shanghai, each I am told weighs 2000 tonnes and were transported by a specially designed ship. It looks top heavy, must have been good seas all the way. After the survey we popped into Cliffe on the way home, as usual Little Grebes were abundant on all the pools but no Black Necked Grebes were found, additionally no Scaup either. A good scan around produced at least 12 Goldeneye along with 80+ Pintail amongst the hordes of Wigeon, signs of spring are there as well with many displaying Black Headed Gulls on the islands. The only waders seen were 2 Greenshank with distant views of another wader that may have been a Spotted Redshank. Moving on we dropped into Rainham, Ferry Lane to see if the Black Redstarts were still showing, they were with the adult male and a female type on display in the rough ground of the old Murex site. A very distant Short Eared Owl was also seen hunting rather early over the old lagoons.